Hey Guys! Did you have a good weekend? The goal of our weekend was to have family time yet fit odds and ends projects in. It was a smashing success over here. I have to toot my own horn when it is because, most of the time, you know… we aren’t successful in completing our to-do list. 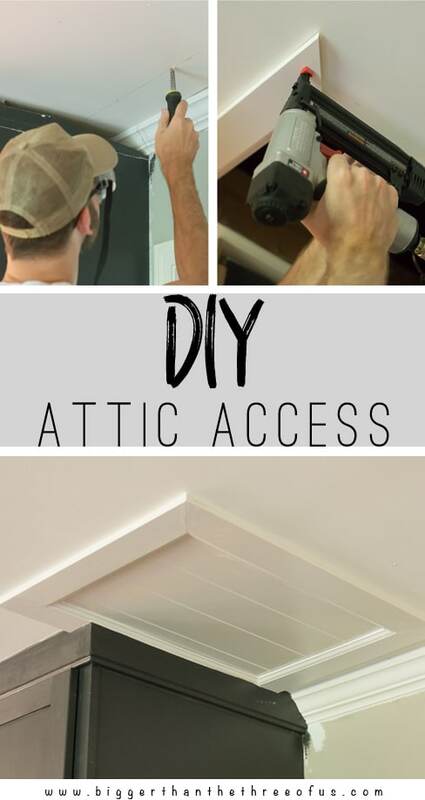 Today, I wanted to share a tutorial for DIY Attic Access including the cutout and door. This is a super simple project but one we needed. 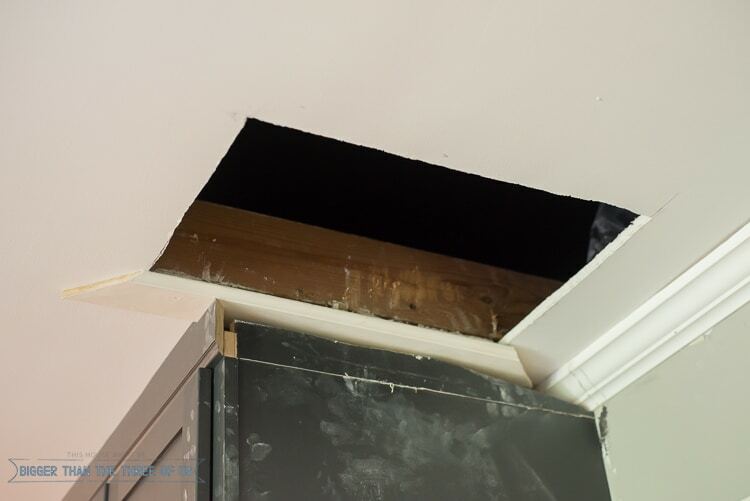 The backstory is that we had a simple attic access like this before. 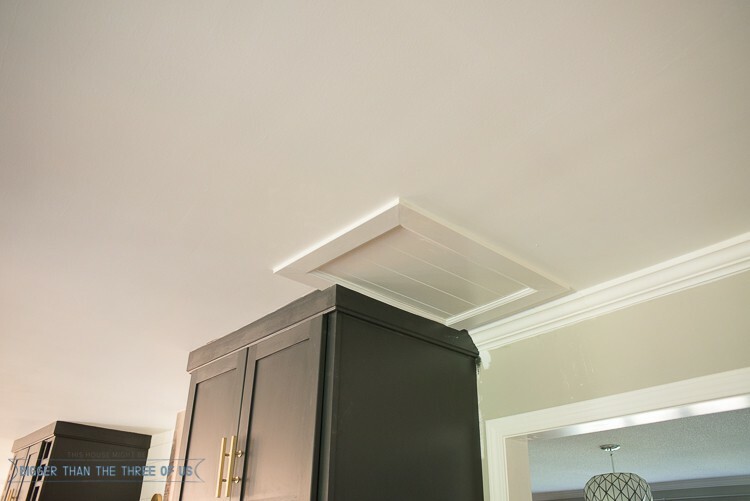 When we bought our house, they did not have attic access so we had them put one in so that we could inspect the attic area. Then, earlier this year, we had asbestos removed and new drywall put back up. 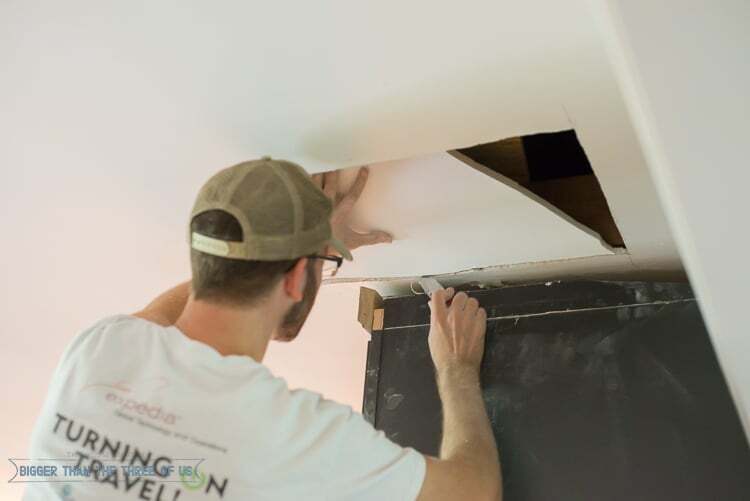 We knew that we wanted to put the attic access back in because we have old-school rabbit ear antennae and we needed to be able to get in the attic to fix them occasionally. The way ceiling joists are laid out, you can’t get a full stair set pull-down in nor did we want to spend money on something like that. We hardly ever get in the attic and we don’t store anything up there… so something extremely simple and cheap was what we were looking for. Since we had it before, we knew exactly where it was going to go. But, we still took precautions to mark out our opening because we just had new ceilings put in and we didn’t want to make any mistakes. We had the attic opening right next to the built-in pantry on the right. The way the roof is pitched, made this the best spot to pull yourself up in the attic. If you went over another beam, you’d have about 4 ft to stand up before hitting your head on the roof line. Ok, so first things first, determine where your joists are. 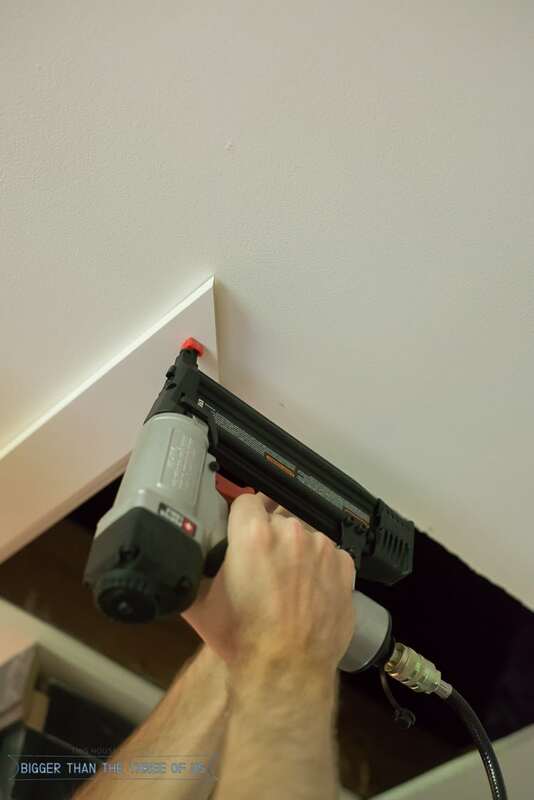 Using a stud finder, mark your joists. Use a pencil and draw a box within the joists. 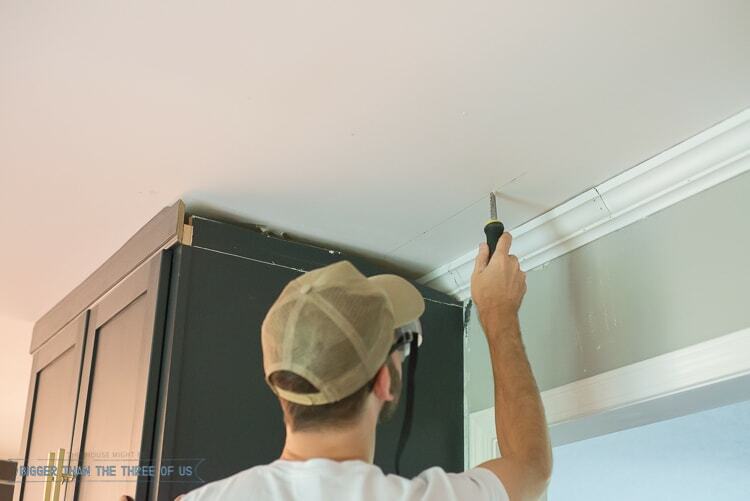 Using drywall knife, start cutting the ceiling out along your line. 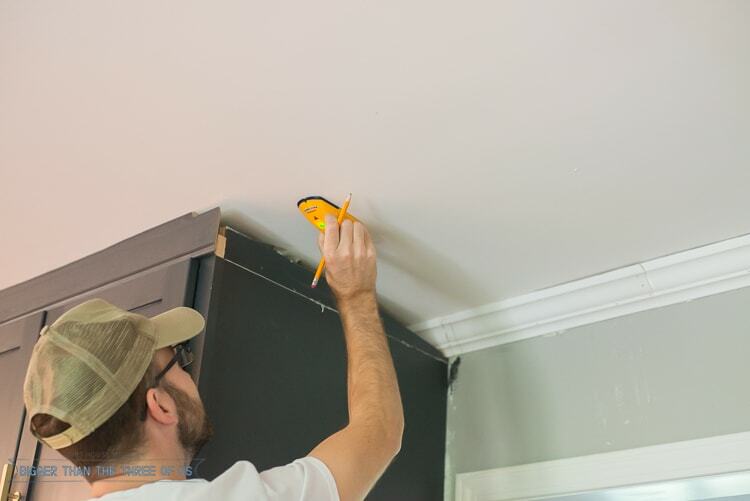 Use a straight-edge knife to cut any drywall paper that wasn’t taken care of with the drywall knife. 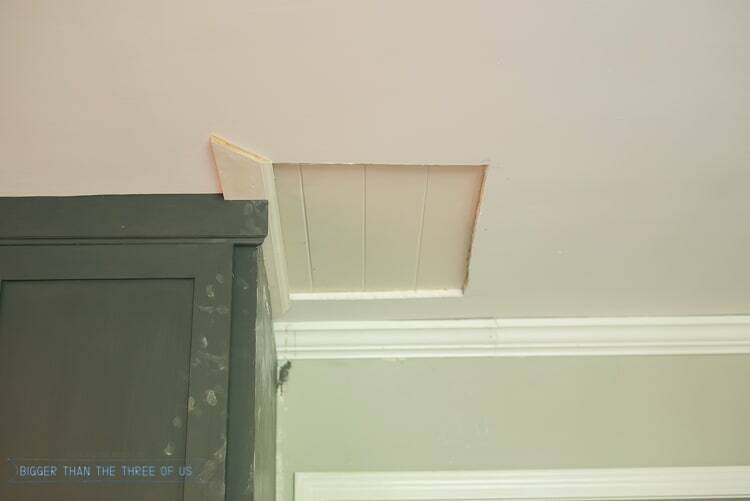 Cut a piece of paneling just slightly smaller than your attic hole. You can do this with a circular saw or a table saw. 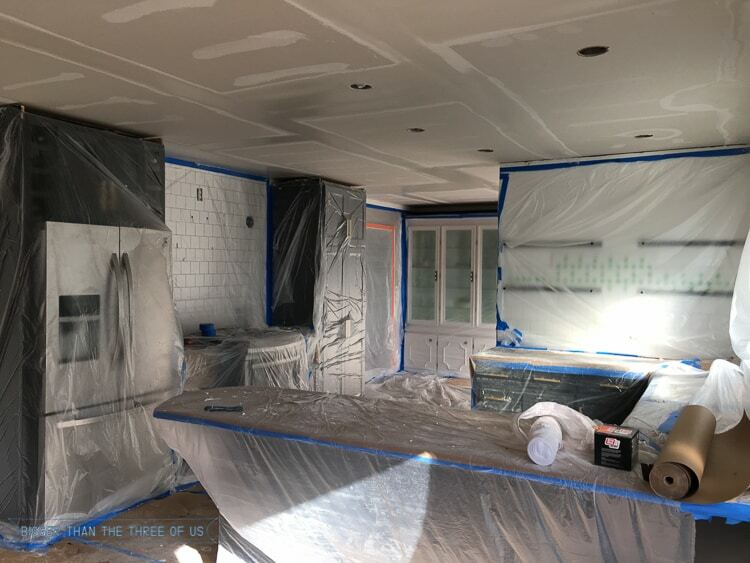 Next, push the paneling up in and let it rest on the drywall that’s there. Next thing you will do is frame out your opening. You do this like you are framing a window. Measure one side and cut your board at 45 degrees on each end. 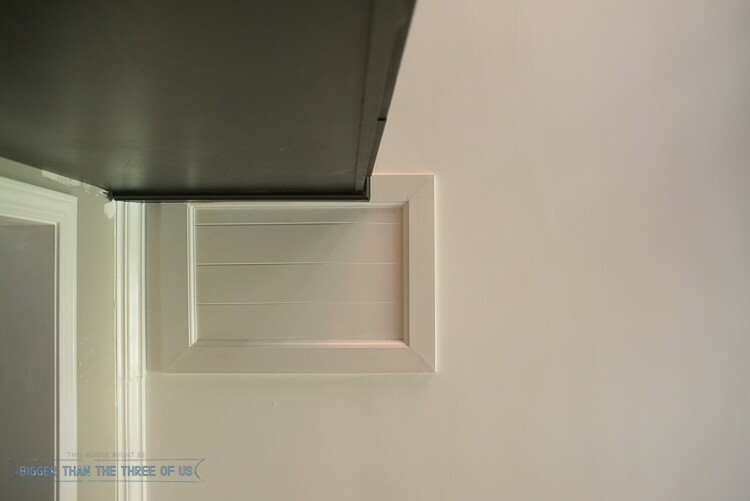 The goal here is to end up with a frame opening that is a little bit smaller than the hole in the drywall. This will allow the piece of paneling (cut in the previous step) to rest on the frame. Using a nail gun, nail that puppy in place. Continue until you have framed out your opening. Caulk and use nail filler to make the frame look finished. Next up, you just need to finish by priming and painting your wood. The spot where we have the opening isn’t ideal, but it’s the best spot that was available to us. 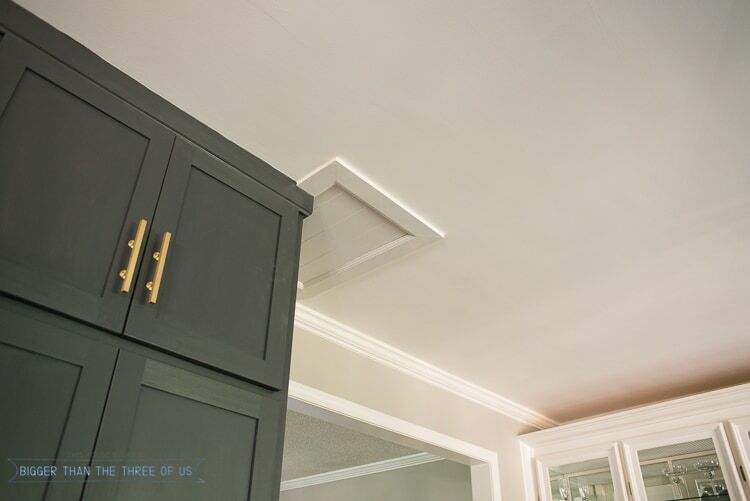 Also, as you can see, we had to do some fancy trim work on our pantry to make it fit into the attic opening. You, of course, won’t have to do that unless you have a similar set-up. 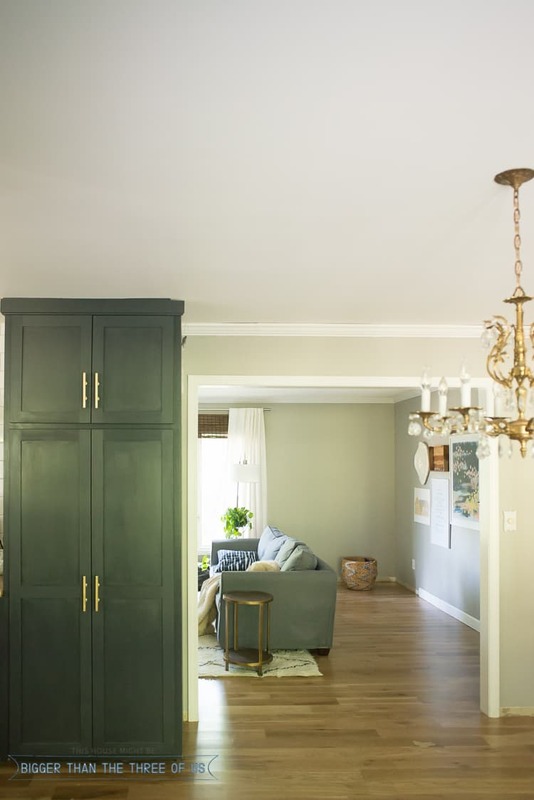 Overall, this is an easy project. Definitely something that you can tackle yourselves. Later this week, I’m sharing another DIY bench with you. I love how this one turned out and it keeps floating around my house because it fits everywhere. Can’t wait to share!